The hacked email is among thousands published over the last week by the pro-transparency group Wikileaks from the account of John Podesta, the chairman of Hillary Clinton's 2016 presidential campaign. Hacked emails published by Wikileaks this week appear to show Qatar pledging to donate $1 million to Hillary Clinton’s family’s charitable foundation, despite her promise to curb new donations by foreign governments while US secretary of state. In an email from 2012, a senior official from the Bill, Hillary & Chelsea Clinton Foundation informs colleagues that a planned donation by Qatar’s government to mark Bill Clinton’s birthday came up in a meeting he had with the Gulf state’s ambassador in Washington. The ambassador said that he asked “to see WJC ‘for five minutes’ in NYC, to present $1 million check that Qatar promised for WJC’s birthday in 2011,” Amitabh Desai, the foundation official, writes in his email, using the former US president’s initials. Hillary Clinton, who is the Democratic nominee for the November 8 presidential election, served as secretary of state from 2009 until 2013. The hacked email is among thousands published over the last week by the pro-transparency group Wikileaks from the account of John Podesta, the chairman of Hillary Clinton’s 2016 presidential campaign. Clinton’s campaign has been embarrassed by this and similar recent hacking attacks on other Democratic Party officials, some of which appear to show Clinton and her aides saying things in private that contradict their public positions. Her spokesmen have not disputed the authenticity of the hacked emails. The emails released by Wikileaks do not appear to confirm whether Qatar gave the promised $1 million, although the foundation’s website lists the State of Qatar as having given at least that amount. There is no date listed for the donation. A spokesman for the foundation declined to confirm the donation. Reuters could not rule out the possibility the $1 million was intended as a birthday present for Clinton personally, not for the foundation. His spokesman did not respond to questions. Hillary Clinton promised the U.S. government that while she served as secretary of state the foundation would not accept new funding from foreign governments without seeking clearance from the State Department’s ethics office. The agreement was designed to dispel concerns that U.S. foreign policy could be swayed by donations to the foundation, which is known for its work on reducing the cost of HIV medicine in sub-Saharan Africa. Clinton’s Republican rival in the presidential election, Donald Trump, has seized on the foundation for political attacks, calling it a front for corruption. Clinton’s campaign dismisses this as a political smear. 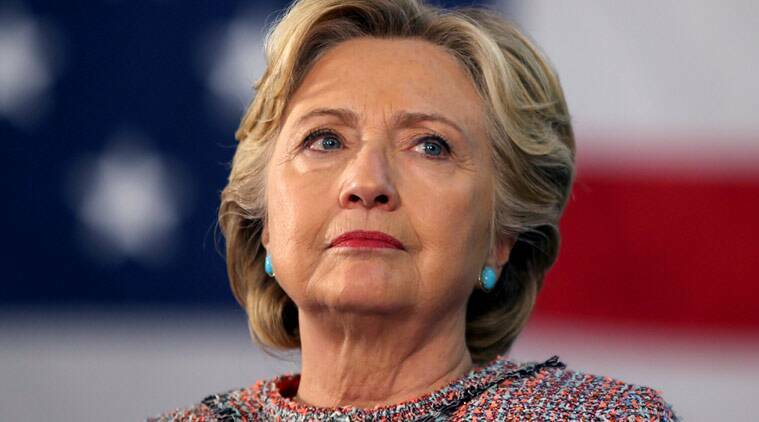 The State Department has said it cannot cite any instances of its ethics officials reviewing or approving new donations from foreign governments to the foundation while Clinton served as the country’s top diplomat from 2009 until 2013. “You would need to ask the Foundation whether there were additional matters that it should have submitted for State Department review,” the department said in a statement. The ethics agreement allowed foreign governments that already supported foundation projects to continue while Clinton was at the State Department. However, if one of those governments wanted to “increase materially its commitment,” then the foundation was required to ask the department first. Craig Minassian, a foundation spokesman, declined to confirm if Qatar gave the $1 million described in the 2012 email. Even if it had, he said he questioned whether the money would be considered a “material increase.” He said Qatar has been donating since 2002, and that some of those donations have been greater than $1 million. Qatar’s embassy in Washington did not respond to questions. A spokesman for Clinton, who was campaigning in Seattle on Friday, also did not resond to questions. President Barack Obama is campaigning for Clinton to be elected his successor, and the White House has repeatedly declined to discuss the breaches of the agreement Clinton signed with Obama’s administration.